Magic Family Getaways is an Authorized Disney Vacation Planner. We provide complimentary travel planning services to all our clients. We are a family run agency with extensive experience in the travel industry and corporate client service/sales and marketing for over 17 years. Combined, our team has visited Walt Disney World more than 1000+ times and visited all of Disney’s destinations to many times to keep count. We are proud to call ourselves true Disney travel experts! In the quality and value of the Disney brand. In sharing the Magic of Disney with you and your family. If it’s your 1st or 100th trip, each vacation experience is special and unique. Attention to detail the “Disney Way”. Personalized vacation plan for your family. Assistance before, during and after your vacation. They will find the best value for your money for your vacation. They will monitor the cost of your vacation and make sure you always pay the lowest price. Our consultants will be pleased to give you tips on how to choose the right combination of fun, activities and Disney Magic! They will advise on: excursions, transportation, “must do’s”, parades, fireworks, restaurants, meal plans, golf, tennis, archery, horseback riding and so much more. Sit back, relax and travel hassle free. No need to spend hours on the internet planning your next getaway, let us do all the work for you while you have all the fun! Trust us to choose a perfect vacation for you and your family! Kim is the owner and founder of Magic Family Getaways LLC. She holds a 15-year corporate background that focused on client relationship management, sales and marketing. She brings this expertise to grow the agency’s business and focus on all client relationships, with the strong belief that every client is treated with the highest level of service and that Disney truly provides hassle-free travel, extraordinary accommodations, one-of-a kind experiences and world class service. With her sales and marketing experience combined with a love of Disney since an early age, Kim has very strong knowledge of all of Disney’s destinations, restaurants, Disney Cruise Line and theme parks. She holds a BS Degree from Drexel University in International Business, speaks Spanish and has a strong working knowledge in French. 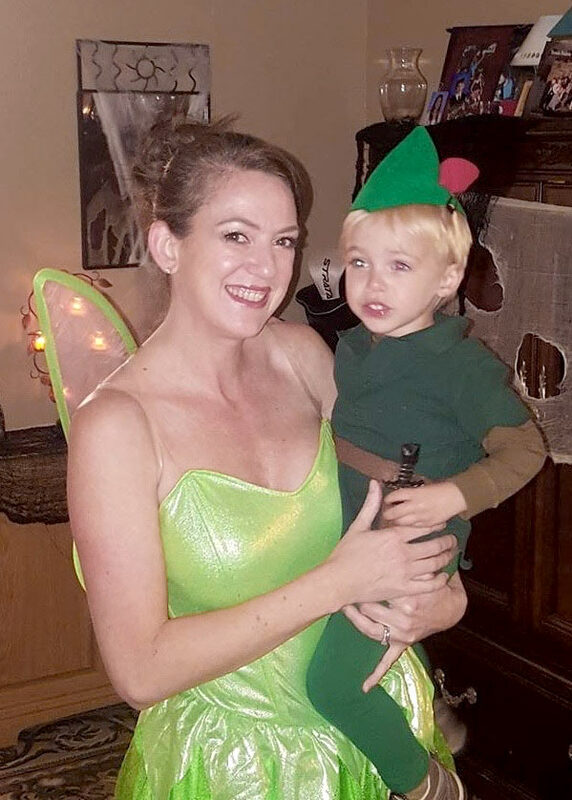 Her favorite Disney character is Moana, and she embraces Walt Disney’s quote, “When you believe in a thing, believe in it all the way, implicitly and unquestionable.” She is married, and a mom of three active boys. 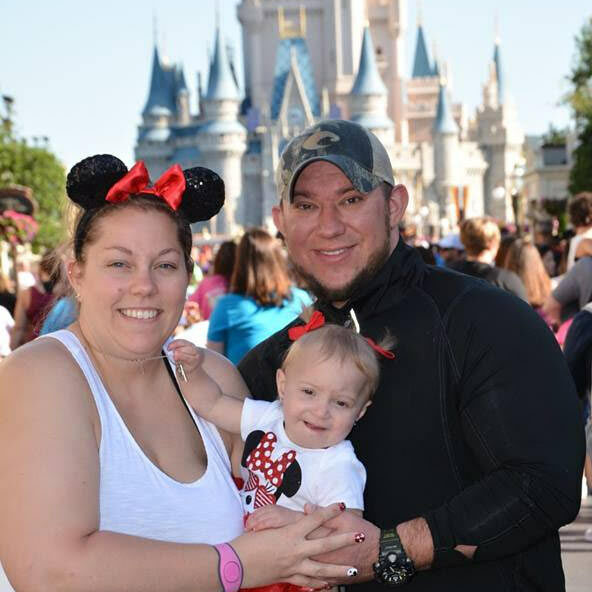 Andrea has loved everything about Disney since she planned her and her husbands honeymoon to Walt Disney World Resort in 2014. 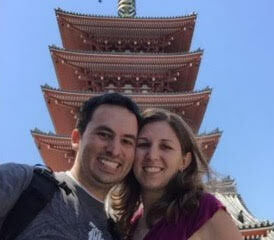 During their first trip, they fell in love with the restaurants and food in Disney and every trip they have made since, they enjoy trying new places in the parks as well as the resorts. She has been to Disney during the Epcot Food and Wine Festival and the Epcot Flower Show, both great experiences! She is passionate about planning Disney vacations that include detailed memorable moments for kids and adults alike! Andreas extensive Disney knowledge will guarantee a customized itinerary to fit every persons expectations. Andrea earned her BA in Interior Design and minored in Marketing at Kent State University. After years of working as a project manager for a large retail corporation, understanding the importance of customer service and attention to detail is the focus of her vacation planning. Andrea resides in Akron Ohio with her husband and little girl. Since Andrea and Greg met, they have always loved traveling together and as soon as their daughter Lily was born, vacations got a lot better. Lily made her first trip to Disney at 16 months old and loved every second. Ann’s family first traveled to Disney World when her son was 8, and it was magical from the first moment they arrived. She strives to bring that same sense of amazement, delight and fun to every family who books with Magic Family Getaways. If you’re looking beyond the parks, perhaps as a first family trip abroad, she can help you navigate the many wonderful destinations offered with Adventures By Disney, suggest a Disney cruise, or guide you to Aulani, a Disney Resort and Spa, on the island of Oahu in Hawaii. Ann lives in northern New Jersey with her husband and son. She holds a Professional Diploma in Travel and Tourism from New York University, and a BA degree from the University of Rochester. 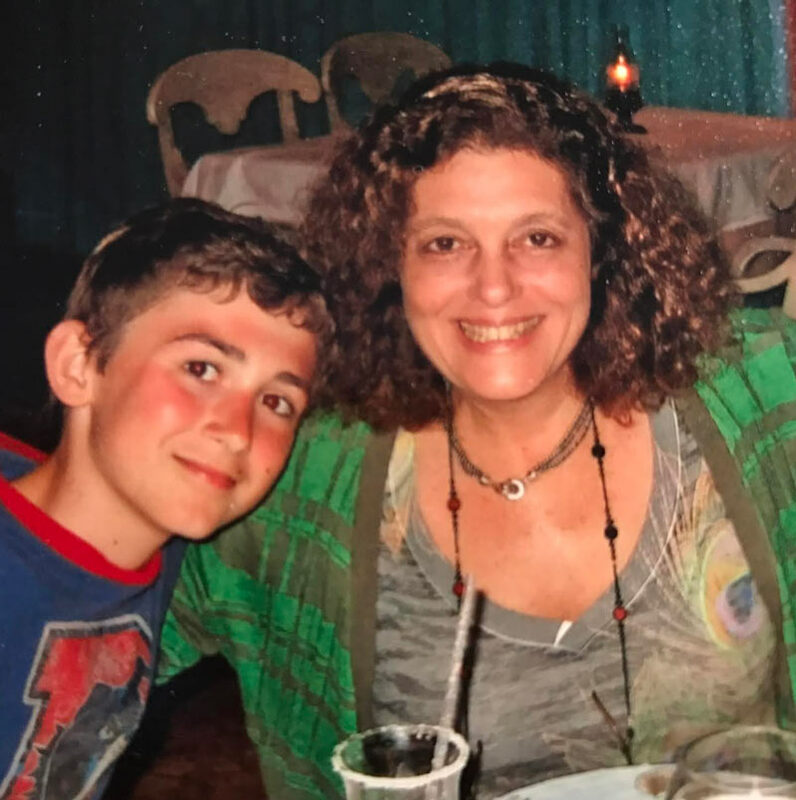 With a sales and marketing background in children’s publishing, she encourages parents to get their kids involved in whatever destination they are headed to by reading about the place. Of course, nothing beats actually being there! 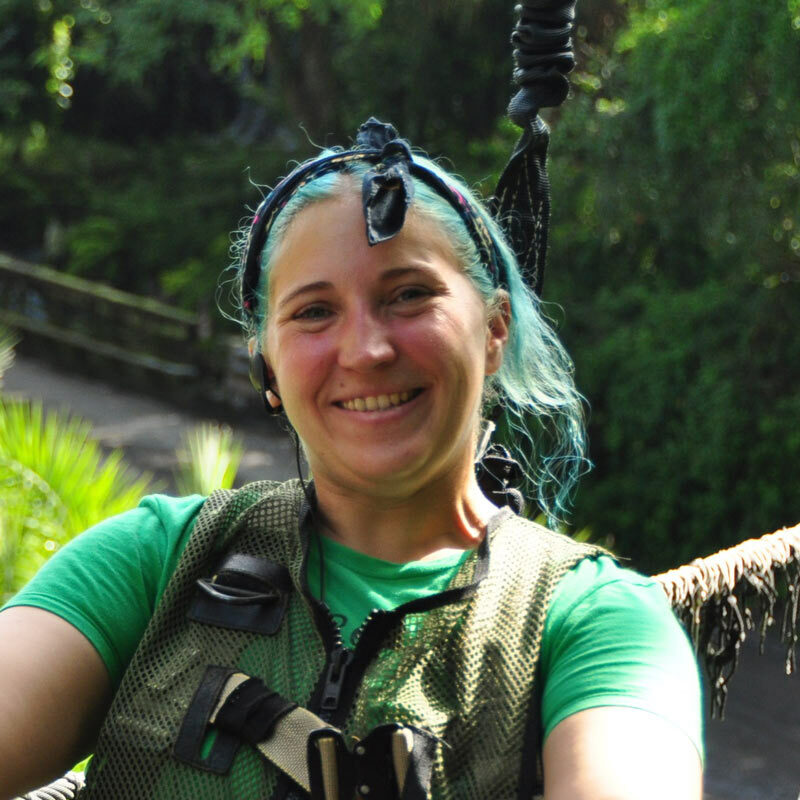 Danielle has had a lifelong passion for travel. From a young age, she lived, studied and volunteered all over the world. 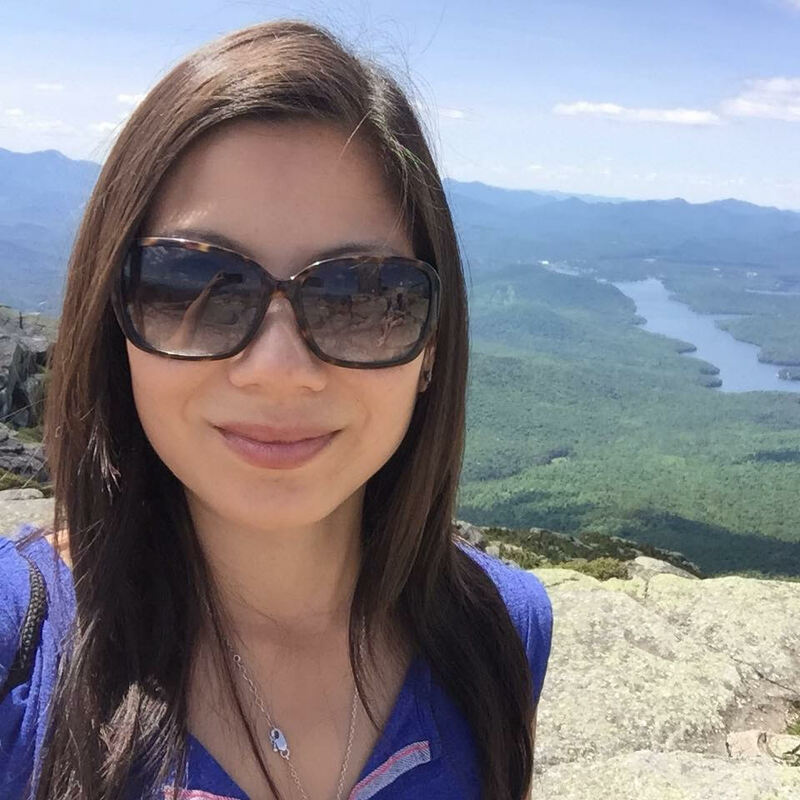 Danielle not only enjoys immersing herself in different cultures, but also takes pride in planning and coordinating her trips and loves to learn the ins and outs of every destination. 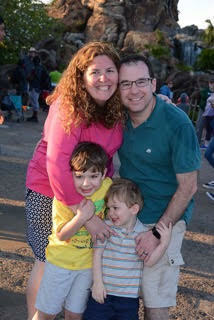 Danielle earned her BA in Psychology at Lehigh University and went on to complete her MBA in Israel. After years of working in marketing and client relationship management, Danielle understands the importance of excellent customer service. She joined the Magic Family Getaways team to combine her love of travel with her desire to provide hassle-free and detail-oriented service to families. Deb is a lifelong Disney traveler. She’s visited the happiest place on earth every decade of her life with a heavy concentration over recent years. During this time, she became the sole researcher and planner for her personal travel which includes trips to Disney World as well as Disney Cruise Line. She’s traveled with children, senior citizens and has even taken an adults-only anniversary trip with her husband. She’s stayed at a different property every time she’s traveled to Disney. Deb knows the ins and outs of making each trip magical. She knows that if you are going to invest your hard earned money into a vacation, then you need to leave feeling that you’ve gotten your monies worth. Her attention to detail and willingness to share her Disney knowledge will leave you feeling like a Disney expert before you step into the parks. Deb received her teaching degree from Penn State University and her Masters of Education from George Mason University. She spent many years as an elementary school teacher before devoting her time to her family as a homemaker. She now resides in northern New Jersey with her husband and three daughters. Felice remembers her first Disney vacation, complete with fanny pack, keds and a mickey shirt, as the best week of her life. Not much has changed in the past 25 years, but now she brings her husband and two boys with her on her favorite ride, Spaceship Earth! She knows that first time visits can be overwhelming, and is committed to making sure that families have a fun, stress free, memory filled magical vacation. Felice studied political science at the University of Rhode Island and lives in Boston, where she owns a Craft Beer distribution company with her husband, who unfortunately is not Mickey Mouse. Janice enjoys anticipating and planning vacations, and then sharing her pictures, stories and tips to family and friends. She recommends the Disney experience because it’s about more than just Mickey Mouse – it’s about high quality experiences, whether it’s a celebratory cruise with extended family or a long weekend with just the kids. Janice has a Bachelor’s Degree in Biology and Anthropology from the University of Virginia and a Masters of Science in Genetic Counseling from the Medical College of Virginia. Her previous experience working with people in a counseling setting allows her to truly get to know her clients and craft a vacation suited to the family’s needs. Her scientific background makes her detail oriented and organized, which transitions well into planning your family vacation! Janice resides in Northern New Jersey with her husband and two sons. Jeanne-Marie has several years of experience booking travel and hotel accommodations. She worked in live theater for over 10 years where she had the opportunity to make arrangements for domestic and international traveling artists and she was responsible for all hospitality during their visit. She will put her excellent communication and organizational skills to good use planning a worry free vacation for you and your family. Jeanne-Marie grew up in South Florida and was fortunate enough to have visited the Disney World and Universal Studios’ parks over a dozen times! She has many fond childhood memories and has begun to form new memories with her own children. She looks forward to helping you do the same. 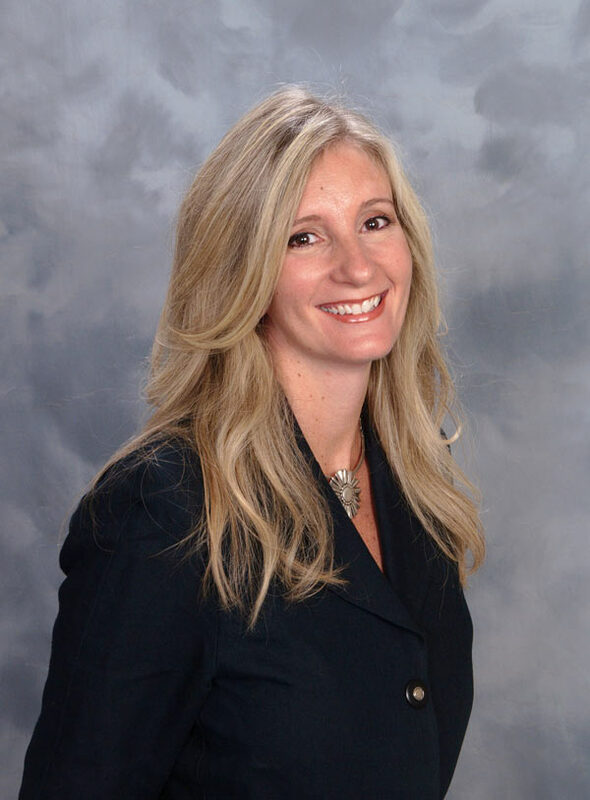 Jeanne-Marie holds a Bachelor degree in Business Administration from Florida Atlantic University and currently resides in Central New Jersey with her husband and two children. Jill has 10 plus years experience in Sales and Marketing and a love for planning! This love has turned into a true passion for creating vacations that will be unique, memorable, and tailored to each person in the party. It can be overwhelming to plan a theme park vacation and she will be there every step of the way to take the stress out of planning and hopefully have some fun along the way! Her main goal is to make your life easier and your vacation to run smoothly. Jill has a BA in Communications from University or Rhode Island. She resides in northern New Jersey with her husband and two energetic, non stop children. Kathleen is a longtime Disney fan. As a young child she visited Disney World often. Through her adult life she has traveled to Disney many times, for special occasions; birthdays, holidays and her honeymoon. Kathleen has been lucky enough to travel during some of Disney special events through the year. She has traveled during the International Food & Wine Festival at Epcot, Christmas, New Years and the Flower Show. She has also stayed at many different resorts so she is able to help guide you in the right stay for your family, group, or adult getaway. Kathleen was a preschool teacher for years before she decided to become a stay at home Mom to be with her two children. Kathleen takes her love of Disney and her love of teaching and learning to a new level. She is always researching and learning all the new ins and outs on what is happening in the Disney life. She is willing to take her knowledge of Disney and organization of teaching to personalize each family vacation. She is very excited to help plan your magical and dream vacation. Kathleen has grown in New Jersey and still resides there with her husband and two children. Kelly has been a Disney fanatic for as long as she can remember, but her passion for company was solidified when she interned with the Walt Disney World College Program. This is where her passion for great customer service and making lasting magical memories fully evolved. She loves nothing more being able to share her love of All things Disney with others and being able to help them make the most of their vacation. 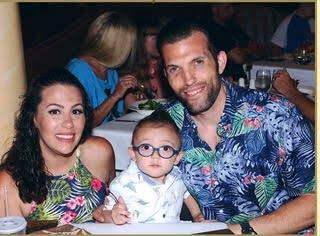 Kelly currently resides in Riverdale, New Jersey with her Disney loving husband and their most adorable and amazing son. She pursues her two strong passions: a love a skin care and helping clients plan fun, memorable and magical vacations! Keri has extensive domestic and international travel experience beginning at a very young age. While she has visited many exotic places, Disney has always been one of her favorite family vacations! Whether its Walt Disney World, Disneyland or a Disney Cruise, each has always been a source of enchantment and special memories for herself and now for her family. 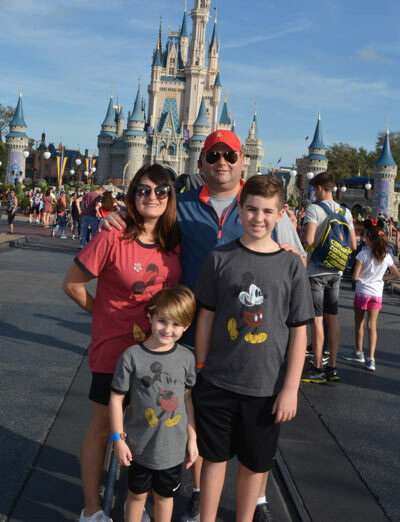 Given her extensive experience at various Disney Destinations, Keri has always been the “go to” for planning so many memorable Disney experiences for many years. She brings this amazing experience to all of her clients assisting them to create magical memories that appeal to all ages. Knowing the investment of time, effort and money involved in planning a family vacation, having her as part of your “vacation team” will assure you of a smooth, fun filled experience regardless of your budget. Keri received her Bachelor of Arts in Hospitality/Meeting Management from Johnson & Wales University in Providence, Rhode Island. She has worked in marketing, sales and event planning in a corporate setting. 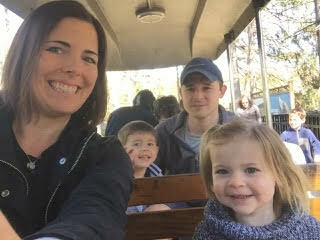 Keri resides in Northern New Jersey with her husband and two sons. Kimberli grew up in Florida where she created magical memories and developed a lifelong love for Disney. She’s been living in New England for the past two decades, but continues to share the Disney magic with her husband and two daughters. 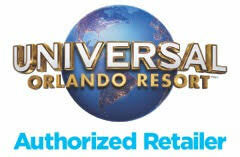 Kimberli has extensive experience with Disney theme parks, resorts, and restaurants in both Florida and California. 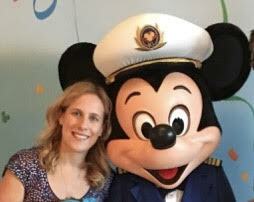 She has also traveled on each of the Disney Cruise Line ships to a variety of ports-of-call. Whether you’re going on a grown-up only trip, bringing the kids, or planning a big multi-family getaway, Kimberli can help you make your once-in-a-lifetime vacation a dream come true! 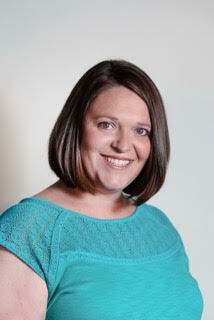 Kimberli has a decade of experience in corporate training and is a master of planning and logistics. 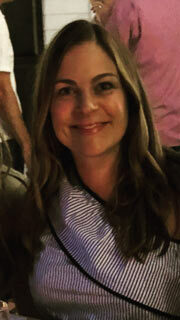 Between coordinating travel and lodging for class attendees, planning meals, scheduling presenters, organizing team-building activities, arranging meet-and-greets with executives, ordering materials, and delivering swag, Kimberli has mastered the kind of attention to detail needed to make your trip run smoothly! You might find Kimberli pin trading with other guests while waiting in line for Splash Mountain, ever scouting for new Figment pins to add to her collection! She’ll be one of the first off the cruise ship when they dock at Disney’s private island in the Bahamas so that she can run in the Castaway Cay 5k. When she visits Disney during the International Food & Wine Festival at Epcot, she’ll be found walking the World Showcase every evening, tasting her way around the world! She’s looking forward to helping you discover your new favorite thing about your perfect Disney vacation! Krystin’s love for Disney and travel started at a young age. The memories made as a child on family Disney trips continued into adulthood, taking frequent trips with her husband and two children. She now enjoys creating those magical memories for others. She has traveled and planned for herself including her large extended family. Every bit of the planning process is exciting to her. Krystin works great with all budgets and clients, with attention to detail. Each vacation is treated with the same level of personal attention she’d give her own. Krystin is a hair stylist by trade. She was born and raised in Fairfield County, Connecticut where she currently resides with her husband and two sons. Lauren was born, raised, and currently lives in the boyhood state of Walt Disney. 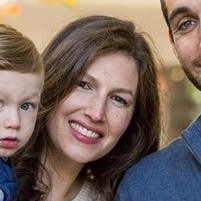 She lives in St. Louis, Missouri (a few hours from the Walt Disney Hometown Museum) with her husband and two boys. 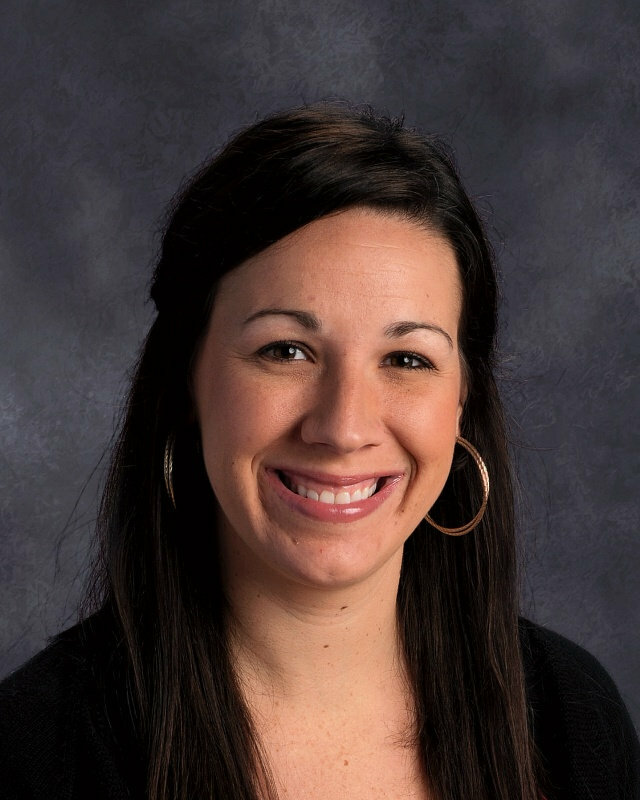 Lauren holds an undergraduate degree from Indiana University and a master’s degree from Webster University. Lindsay has a Bachelors Degree in Elementary Education from Montclair State University and a Masters of Science in Reading from Monmouth University. Her previous work experience as a teacher allows her to excel at building strong relationships with clients so that she knows exactly what her clients need and want from their Walt Disney Vacation! She is also highly organized and pays close attention to even the smallest details! These components make for an excellent and highly effective Disney Travel Consultant! She truly believes that the magic of a Disney Vacation starts at the very beginning of the planning process, and would be honored to assist you and your family in any and all aspects of the road leading to your vacation! She will focus on the work and details while you focus on the fun! Lindsay is a great resource for for anyone traveling to Disney with a food allergy. 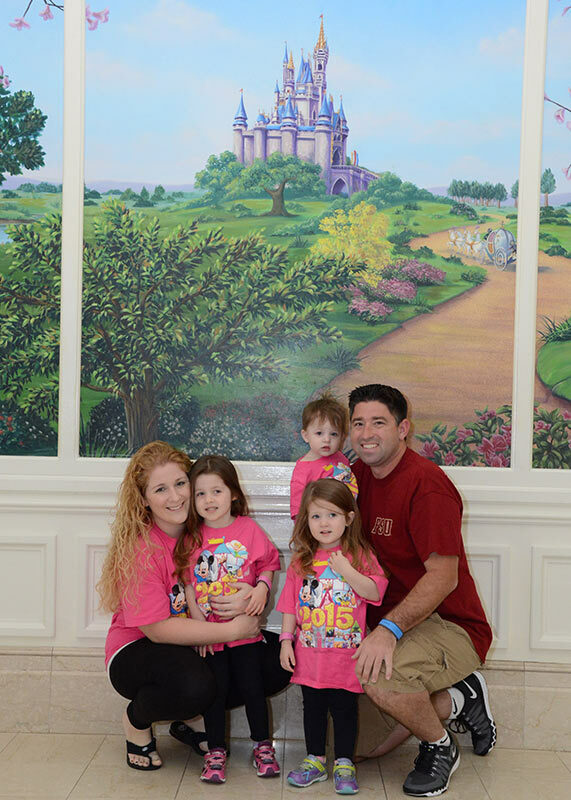 Lindsay’s oldest daughter has a peanut allergy, and eating out at the restaurants in Disney was a new experience for the whole family. Thankfully, in true Disney fashion, the wait staff and chefs went above and beyond to ensure a safe and happy dining experience. 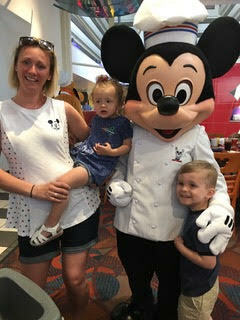 She would love to share what she learned about dining in Disney with food allergies with all future clients! Lindsay currently resides in central New Jersey with her husband and three very own princesses! Nina has been enjoying the magic of Disney for the last 27 years and looks forward to bringing her enthusiasm and expertise to Magic Family Getaways, LLC. She is committed to providing every client with an incredible vacation that is tailored to meet their personal needs. Focused on fostering strong client relationships, Nina uses her extensive knowledge of Disney to create a unique and hassle-free experience. She holds degrees from Shippensburg University, Penn State University, and Drexel University and resides with her husband and two young daughters. Rebecca caught the travel bug as a child and has been meticulously planning vacations since she was old enough to read tour books. She has always been captivated by the happy ending every Disney vacation provides for a family. 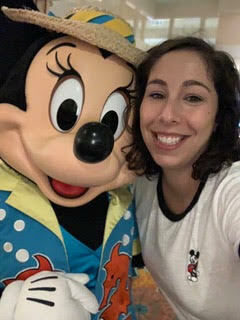 Rebecca has been visiting Walt Disney World since she was a child and loves planning magical vacations for others to WDW and Disneyland, and on her own personal favorite the Disney Cruise Line. Her passion for all things Disney and her attention to detail make her an excellent resource for your family’s next Disney vacation. Rebecca holds degrees from Emory University, George Washington University Law School and Teacher’s College at Columbia University. She lives in Northern New Jersey with her husband and two children. Stefanie has always had a love for all things Disney and travel. After college she worked for Disney On Ice where her passion for Disney grew. She then joined the corporate travel industry where she learned the ins and out of the business. Once she became a mother, she found herself planning personal family and group vacations in the land of Mouse. She finds the greatest joy in helping others create magical memories that will last a lifetime. No matter what age or type of group let Stefanie’s knowledge and organizational skills assure you the trip of a lifetime! Stefanie holds a BA from the University of Maryland and currently resides in Northern New Jersey with her husband and child. * Magic Family Getaways LLC is fully licensed and insured and we are members in good standing with professional travel industry associations. Click Here for our Agreement, Terms & Policies. Subscribe to be the first to get the latest Disney announcements and specials!